In 2012 Kansas City Public Library received a YOUmedia planning grant offered through the MacArthur Foundation and IMLS to design a YOUmedia Learning Lab program. After some consideration and discussion, KCPL decided that a mobile lab would be a great starting point for bringing HOMAGO centered programs to youth in Kansas City. 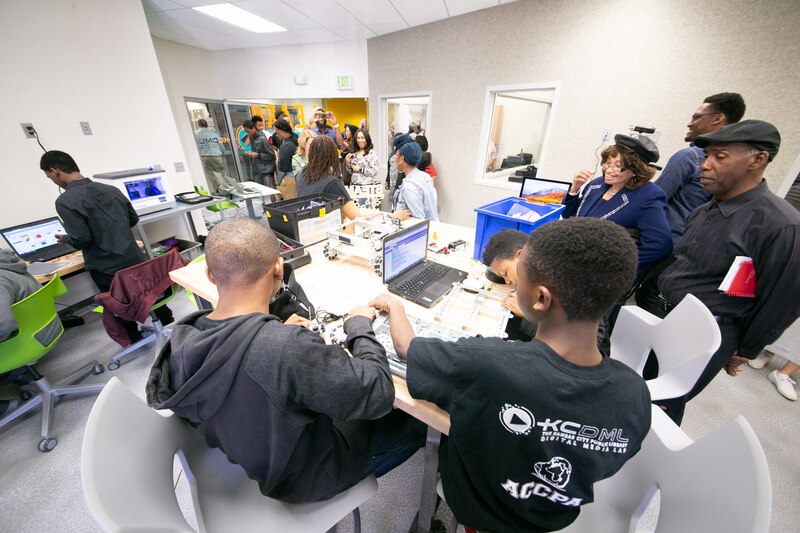 A mobile lab would give staff the ability to “meet the kids where they are” both literally and figuratively at the ten library branches in Kansas City. 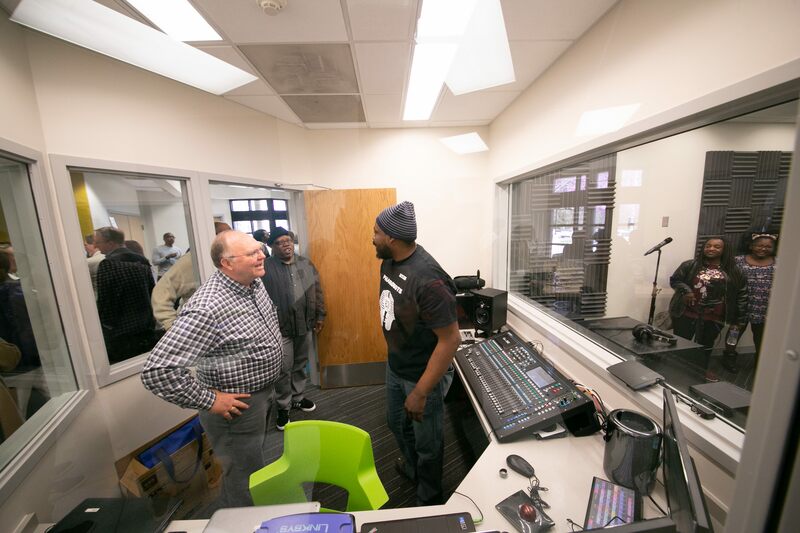 In 2014, the staff, Andrea Ellis with a background in informal education and a focus on film and video production, and Marcus Brown with a background in formal education and a focus on audio production began developing and presenting programs to youth in Kansas City. These programs were successful and teens learned a lot but over the years, Marcus and Andrea started to find limitations with the mobile lab programs. As Andrea said, ”If the kids wanted to take it (what they were learning) further, there was nowhere for them to go and we could not continue to build a relationship with them.” So Andrea and Marcus began having a conversation about how to make a deeper impact and began to advocate for building a permanent space for their programs. The first site they considered was the central main library located in downtown Kansas City. This seemed like a good fit because their community expects innovative programs to start out at the central branch but what they found is that teens just don’t go downtown all that often. They started thinking about where teens do go and they picked a branch that has very high teen participation. The branch is located in a neighborhood with several high schools and middle schools nearby, is easily accessible by bus, and is near a very large park that is home to a $20 million soccer training facility that draws people from all over the region. This branch seemed like a great fit for a new permanent lab location. 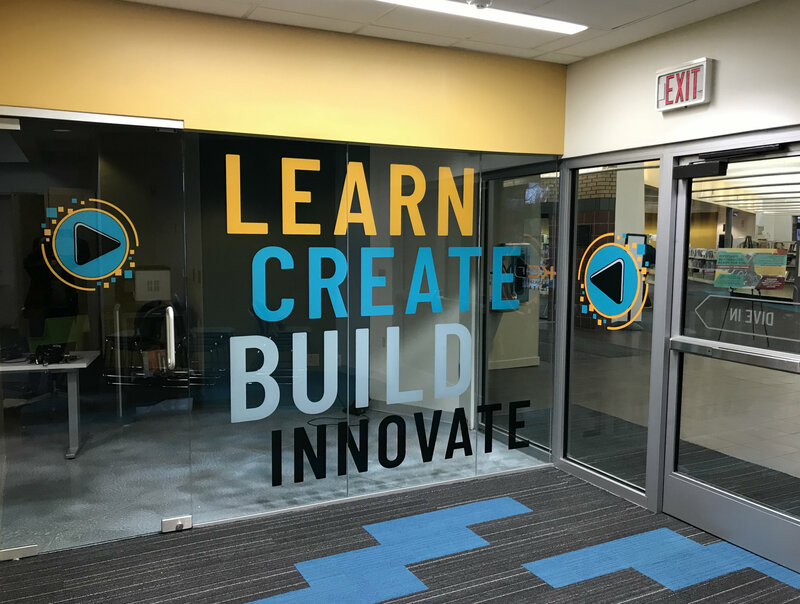 Andrea and Marcus were able to get the support of library leadership and in fact, their support for a new digital media lab in that community was so strong that it led to a remodel of the entire building! The Open House Celebrations was held on April 28th. 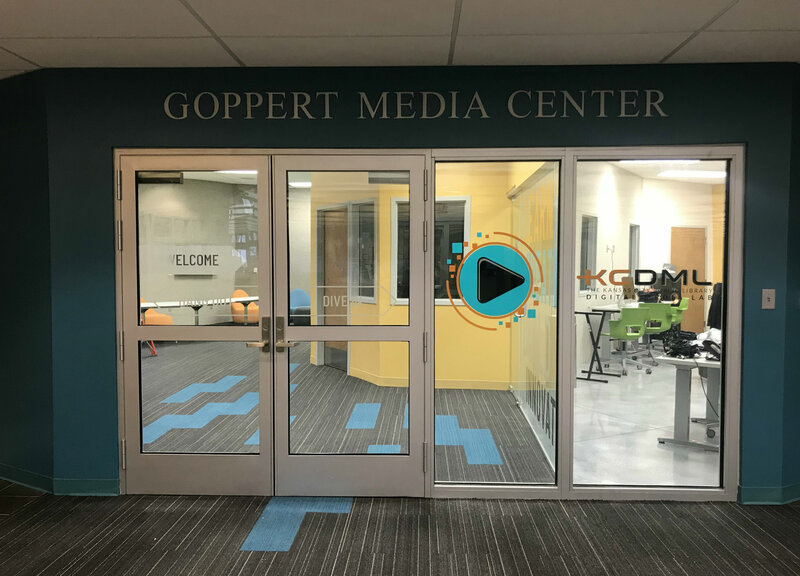 The space will feature a professional level media production studio, two 3D printers and software, DaVinci Resolve and Final Cut Pro editing software, a green screen, and a variety of Arduino circuits, and Raspberry Pi technology. The lab also hosts a First Tech Challenge robotics team and the Pharobots.